A Kingstown Park woman, who claims that she was severely beaten by prison warders and slashed by an inmate while serving a prison sentence, is seeking legal redress. Shellan Wilkins said earlier this year, she was fined for three offences, including theft and being unable to pay the fine, she was sent to prison for six months. 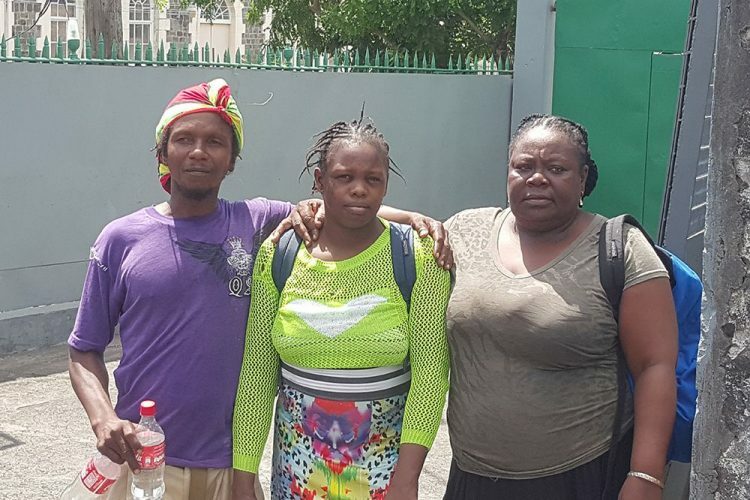 She said while incarcerated at Her Majestyâs Prisons (HMP) at White Chapel Road, Kingstown, she was picked upon by prisoners and her complaints fell on deaf ears. Shellan said on one occasion, another prisoner used the blade from a shaver to cut her on her arm, belly, face and head and she was taken to the Milton Cato Memorial Hospital (MCMH) for treatment. She claims that on another occasion, she was struck in the head with a staff by one of three female prison warders who were trying to restrain her. The 26-year-old told SEARCHLIGHT that since being struck in the head, she âfeels differentâ and is hoping that she can get some sort of justice for what she considers an attack on her that was not necessary. Shellan also revealed that while in prison, apart from what she considers unfair treatment by officers and bullying from inmates, she was afraid to eat, because she did not trust the food handlers. She said she would only eat when a specific inmate cooked the food. âSeems like if they were punishing me more than the others when anything happened,â said Wilkins. âI want young people to know not to go to jail. Itâs not nice, from my experience; donât go to jail; stay away from trouble,â stressed Wilkins, who is hoping to get baptized. Marilyn Wilkins, Shellanâs aunt and her friend Kem Gill said when they heard about how Shellan was being treated, they decided to get her out of prison. Wilkins paid Shellanâs fine on September 20 and Shellan was released. She said that she learnt of Shellanâs predicament while shopping at a local supermarket and decided to get her out of prison. Gill is also of the view that the blow to Shellanâs head has affected her mental capacity. âWe are hoping to get justice for this, even though she do something wrong, she should get restrain instead of hit like that. There are enough officers in there to restrain her, instead of hitting her like that,â said Gill, a vendor.